NEW YORK--(BUSINESS WIRE)--Alcoa (NYSE:AA) today announced that its Board of Directors has elected L. Rafael Reif a director of the Company effective March 2, 2015. 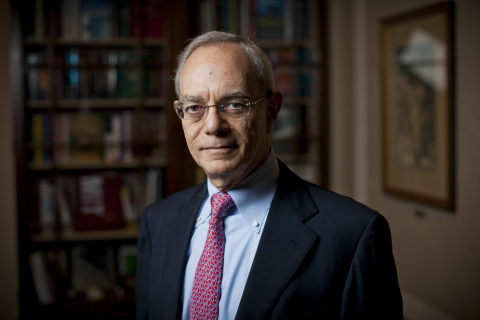 Dr. Reif, 63, is president of the Massachusetts Institute of Technology (MIT), the world renowned educational institution of science and technology. He has been a faculty member of MIT for more than 30 years. Dr. Reif, at the request of the White House, served as co-chair of the steering committee of the national Advanced Manufacturing Partnership (AMP 2.0), an effort to secure U.S. leadership in emerging technologies. He also launched the MIT Innovation Initiative to enhance MIT's own innovation ecosystem and foster education, research and policy; and recently began work on "MIT.nano," a new facility on the campus that will accelerate research and innovation at the nanoscale. 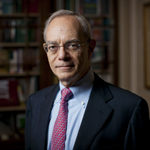 In his previous role as Provost of MIT, Dr. Reif held overarching responsibility for MIT's education and research programs, including spearheading the development of the MIT's online learning initiatives, MITx and edX, and oversight for Lincoln Laboratory, a federally funded research facility that MIT operates for the U.S. Department of Defense. Prior to his appointment as Provost, he headed MIT’s Department of Electrical Engineering and Computer Science. In his leadership roles at MIT, Dr. Reif launched environmental initiatives to drive progress towards solutions around environment, climate and sustainability. He also promoted a faculty-led effort to address challenges around race and diversity. Dr. Reif is the inventor or co-inventor on 15 patents. In 1993, he was named a fellow of the Institute of Electrical and Electronics Engineers and in 2000 he received the Aristotle Award from the Semiconductor Research Corporation. He is also an elected member of the American Academy of Arts and Sciences and a trustee of the Carnegie Endowment for International Peace. Dr. Reif holds a doctorate and a master of science degree in electrical engineering from Stanford University and received his bachelor's of science degree from Universidad de Carabobo, Venezuela. Alcoa has elected L. Rafael Reif to its board of directors, effective March 2, 2015. Dr. Reif is president of MIT.